Naturally, then, a scholar had the stroke of genius to immortalize the musical legend in the way all brilliant composers should be immortalized: with an ice cream truck. 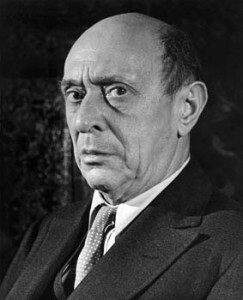 For the metal-inclined, Schoenberg’s music is quite heavy. It’s like Meshuggah or Blotted Science several decades before metal even existed. For the non-metal-inclined, keep in mind that a healthy dose of dissonance is like spinach: it is good for you (unless you are allergic to spinach, in which case it is like apples—unless you are allergic to apples, in which case I apologize and feel quite bad for you because you are missing out on a delectable fruity treat and choose as a simile something that is good for you to which you are not allergic). “Schoenberg Soundways,” as the project is titled, introduces unsuspecting victims, I mean USC students to the composer’s works Gurrelieder (1900-1911), Brettllieder (1901), Erwartung, Op. 17 (1909), Wind Quintet, Op. 26 (1923-1924), and Phantasy for Violin and Piano, Op.47 (1949). Schoenberg even once taught at USC, making the project all the more clever. Although many have referred to the vehicles as ice cream trucks, they are actually delivery trucks. The subject of ice cream trucks, nevertheless, does bring up a good idea. 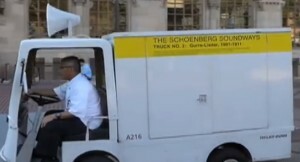 Given the music conventionally played by ice cream trucks is at the low rung of the artistic totem pole in my book (right below Top 20 pop music and anything ever made by imperialist corporate shill Bono), replacing it with atonal masterworks from the early 20th century constitutes, in my view, a complete no-brainer. As if the music played by ice cream trucks was not already bad enough, a brief anecdote may perhaps be instructive. When I lived in northeastern Washington, D.C. in the summer of 2014, every few days, I would hear an ice cream truck drive by playing Christmas music. Christmas music. In the middle of the summer. Christmas music is already insufferable during the last two months of the year, yet alone any earlier. As horrible as Thanksgiving is—given it is predicated on the whitewashing of the systematic slaughter and ethnic cleansing of the indigenous population of the Americas, in what was likely the worst genocide in human history—the fact that this holiday, in which people across North America stuff their faces with butchered bird, is also the day in which most radio stations officially start playing Christmas music is all the more reason to despise it. Having to hear the sonic drivel as early as July, then, is nothing short of hellish. This might also be a good time to point out that the annoying song played by the vast majority of ice cream trucks in the US is even more annoying when you know its racist history. The jingle played by most ice cream trucks today is based on an old folk melody, “Turkey in the Straw.” Although the original song is relatively innocuous, in 1916, a version was published in the US titled “N—-r Love A Watermelon Ha! Ha! 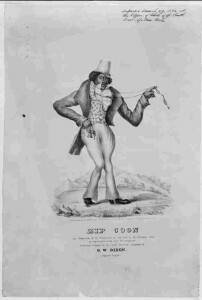 Ha!” Given how racist the US was, this white supremacist version of the tune—one of the most racist songs imaginable—was popular. Now, it remains in use, and has become a melody that children across the US learn from an early age. Replacing despicable white supremacist songs and inane Christmas carols with the music of Schoenberg is the obvious solution to this multi-pronged dilemma. So, screw racist music, screw Nazis, screw Christmas music, and screw horrible ice cream truck music. Get out in the streets and protest, write letters to your elected representatives, create petitions, organize your community—let’s have all of our ice cream trucks blast Schoenberg’s atonal music while they inch slowly down the street. We’ll all be better for it.